The Pennsylvania Peer Support Coaltion bylaws allow for 18 members on the Board of Directors with a stipulation that every effort be made to have representatives from all regions of the commonwealth. Applications to join the Board of Directors are accepted throughout the year. If you are interested in joining the Board of Directors please download an application by clicking on the below link. Follow the directions on the application to submit it. Diana Fullem is a CPS and the Founder/CEO of Recovery InSight, Inc. in Lancaster, Pennsylvania, which is a free-standing Certified Peer Support Service. Diana’s passion for peer support came about from her lived experiences. Recovery InSight, Inc. has been in business since 2010 and employs twelve Certified Peer Specialists and two Administrative Staff. Diana’s interests and responsibilities for the past ten years include active participation in the transformation of mental health services to a recovery-based model on a local and statewide level. She has served on Boards, Advisory Committees, subcommittees, and workgroups focusing on mental health topics and her personal recovery story for public education and training, suicide prevention, and stigma reduction. Currently, she serves as the President for the Board of the Pennsylvania Peer Support Coalition, Appointed Member of the Pennsylvania Office of Mental Health and Substance Abuse Services Medical Assistance Advisory Committee, Member of the Lancaster County Mental Health Quality Improvement Council, Secretary for the Lancaster County Behavioral Health and Disability Service Providers Association, and member of the Peer Support Services Steering Committee for the Capitol Region. Diana lost her oldest son, Paul Jr. in 2002, from an accidental drug overdose. Her son, Eric has been working as a Chef at various 5 star resorts throughout the United States for the past 9 years. She attributes her accomplishments to her faith, friends, family, and mental health providers. 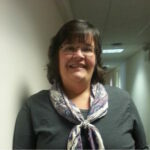 Kim Maldonado currently serves as the Director of the Peer Support Program for Philhaven, located in Harrisburg, PA.
She is a Certified Psychiatric Rehabilitation Practitioner and is currently an Advisory Board Member of the Pennsylvania Association of Psychiatric Rehabilitation Services. Kim has been a board member of the Pennsylvania Peer Support Coalition for over a year and serves as the Vice President. 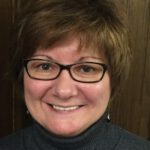 She is involved in a variety of community organizations ranging from the Office of Mental Health and Substance Abuse Services Adult Advisory Committee, the Peer Support Services Steering Committee for the Capitol Region, and the Office of Mental Health and Substance Abuse Services Peer Support Work Group. Kim has been employed by Philhaven since January of 1995. Prior to working for Philhaven, she was an elementary teacher and vice principal at a bi-lingual Christian school in Tegucigalpa, Honduras for five and a half years. She graduated from Liberty University in Lynchburg, Virginia and is the proud mother of two children, Abigail and Lucas. January has been a Certified Peer Specialist as well as a Peer Support Supervisor with Recovery Insight, Inc. since 2010. Prior to her work at Recovery InSight, Inc., she was a Survey Specialist with Recovery Connections. January valued her role in empowering individuals receiving mental health services to share feedback so that system improvements could be made. After resigning from Recovery Connections to pursue her passion for Peer Support, she served on its Board of Directors until 2012. Most recently, January has become involved in the Peer Support Services Steering Committee for the Capitol Region. January’s passion for Peer Support developed from her own lived experience, as well as the lived experience of family members. Often, individuals will view a mental health diagnosis as entirely negative. January recognizes that without these experiences, she may not have some of the joys that are in her life today, including Alexis, her daughter, and Susan, her fiancée, with whom she shares a great appreciation for hiking and the outdoors. Their most recent hiking adventure took them along the Appalachian Trail. January joined the Board of Directors of the Pennsylvania Peer Support Coalition in August 2015. Patrick joined Fulton Bank in 2001 and currently oversees the McGovern Avenue office in Lancaster. He is responsible for sales, service, and the daily operations of the office. Patrick earned a Bachelor of Science degree in Public Policy from The Pennsylvania State University. He is active in the community, currently serving on the Board of Directors for the Crusader Youth Activities Association (President) and Pennsylvania Peer Support Coalition (Treasurer). 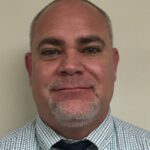 He is also involved with Lancaster Catholic High School, serving as a member of the Advisory Steering Committee and as Booster President for the Varsity Baseball Program. He enjoys coaching a variety of youth sports activities. 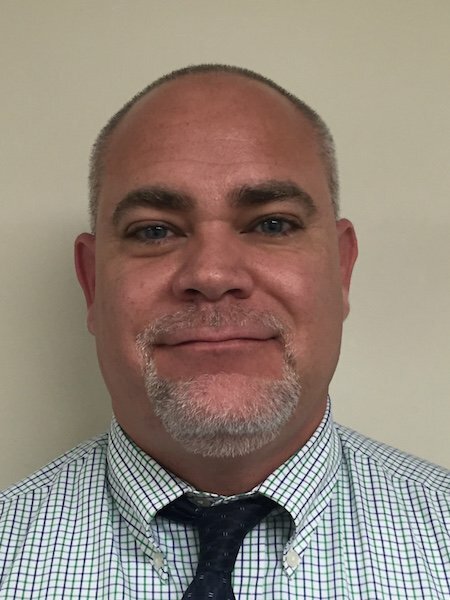 Mark Edwards is a ten year U. S. Army Veteran that has been employed at the Coatesville Veterans Administration Medical Center for the last 11 years, and is currently working as a CPS for the HUD-VASH Program. He is a Certified Older Adult Peer Specialist, a Pennsylvania Certified Peer Specialist in Crisis Services, as well as a Mental Health First Aid Instructor. For the past 25 plus years Mark has worked within the Mental Health arena in one capacity or another starting at “Project Share,” a Consumer run organization that was under the Mental Health Association of Southeast. Pennsylvania. A Consumer himself he feels strongly about equal rights treatment for all with disabilities, HIV/AIDS advocacy, homelessness and housing issues. Mark has remained an advocate for health and wellness for the veterans he serves. He remains to be a leader and champion, even in the face of adversity. He is always willing to display his life as an example to be encouraged by. Susan Novak has been on both sides of the fence as a consumer and as a clinician. She is a Certified Trauma Therapist, Board Certified Art Therapist, Certified Peer Specialist and a Rostered Artist with the PA Council on the Arts. 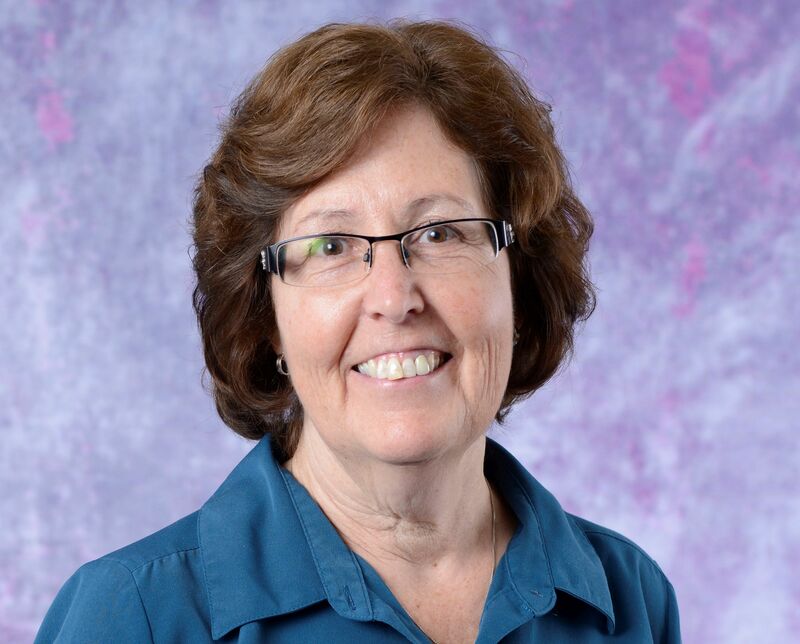 She has worked in a variety of community, clinical and educational settings. In addition to her CPS work with Peerstar she currently facilitates art therapy groups for school children through “Art Expressions Inc.” and serves as an Artist In Residence for the “Arts for Healing” program at the Neuroscience Center in Johnstown. She has been a committed advocate for the Deaf Community and women’s and children’s rights and uses her art and grant writing skills to help fundraise for those causes. Michael Runningwolf is a facilitator for RI Consulting and has the wonderful opportunity to travel across the country facilitating classes such as Certified Peer Specialist Training (CPS) and others! In doing so Michael gets to witness Recovery become a reality in every state he visits! Mike has been a facilitator for RI Consulting since August 2011. Before entering the Recovery field, Michael received his BA from Boise State University in Secondary Education with an emphasis and endorsements in History, Kinesiology, and Biology. Upon graduation Michael worked as a High School History Teacher and football coach for a school district in southwest Idaho for many years. Because of Michael’s own experience with psychiatric challenges, he understands the power of recovery environments and Peer Support, and believes in the importance of the Pennsylvania Peer Support Coalition and the need to support those who support others! Michael presently resides in York Haven Pennsylvania with his family and is active with NAMI York. Onzie Travis has a Bachelor of Science Degree from Saint Joseph’s University. Onzie has lived with co-occurring challenges for 55 years, with 24 years of long-term recovery. He is an Independent Consultant, Curriculum Designer and a counselor at Wedge Medical Center. Onzie’s credentials include: Certified Alcohol & Drug Counselor, Certified Peer Specialist, Certified Psychiatric Rehabilitation Practitioner, Advanced Level Wellness Recovery Action Plan (WRAP) Facilitator, and Mental Health First Aid Instructor. He has trained more than 500 Certified Peer Specialists and over 200 Mental Health First Aiders and 100 WRAP Facilitators. Onzie joined the Philadelphia Department of Behavioral Health and Intellectual Disabilities Services Faith and Spiritual Affairs Advisory Board in 2012 and Pro-Act’s Vision Team in 2010. Onzie is honored to serve on the Pennsylvania Peer Support Coalition’s Board of Directors. William White, known by everyone as Bill, served in the US Army for 22 years. He is currently employed by Wellspring Community Support Services as a Peer Support Specialist and has been for the last six years. His current role is as a CPS supervisor. He is also a Veterans Peer Support Specialist, Forensic Peer Support Specialist, and a WRAP Facilitator. He wears many hats at Wellspring and even manages a fleet of 15 vehicles. He has been in recovery for 14 years and enjoys sharing his strength and hope with others that are struggling. He is the proud father of three girls and five grandchildren. Tracy Carney, CPS, CPRP is a Senior Recovery/ Resiliency Specialist focusing on Peer Support and Member involvement at Community Care Behavioral Health. She has a strong background in recovery and wellness initiatives, providing peer support services and peer support supervision at CMSU Behavioral Health for ten years. She serves on the Board of the Pennsylvania Mental Health Consumers’ Association, the Pennsylvania Peer Support Coalition and works with an anti-stigma drama group called The Go M.A.D. Players to educate communities about mental health issues.